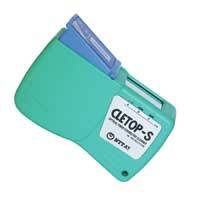 Cletop cleaners allow users to quickly change the disposable cleaning tape (400 cleans per tape). This makes the Cletop connector cleaner an inexpensive tool suitable for the lab and field use. Safety: Cletop ferrule cleaners quickly and effectively clean fiber optic connectors w/o needing alcohols, which can be toxic and flammable.